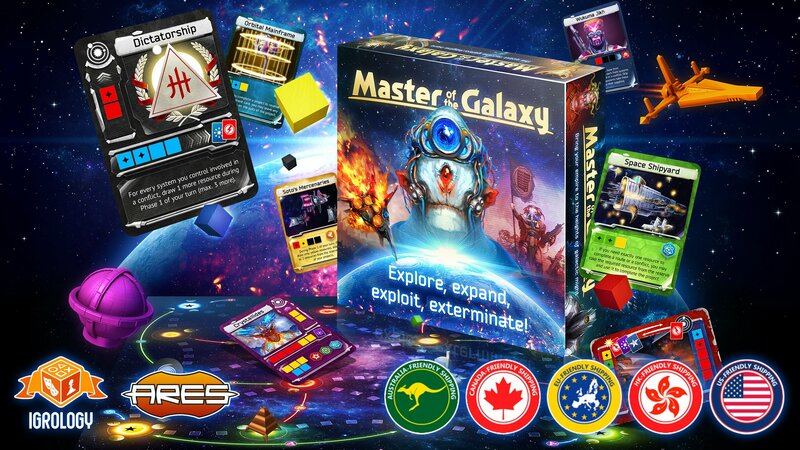 Master of the Galaxy is a fast-pacing, innovative 4X board game with bag-building & card drafting in which you jump to the stars and build your galactic civilization. After two years of development the game hits Kickstarter on July 18 to be released by Ares Games and Igrology. Don’t miss the special Master of the Galaxy giveaway for a chance to win one of three available Kickstarter exclusive copies. The more points you collect, the higher your chance to win! 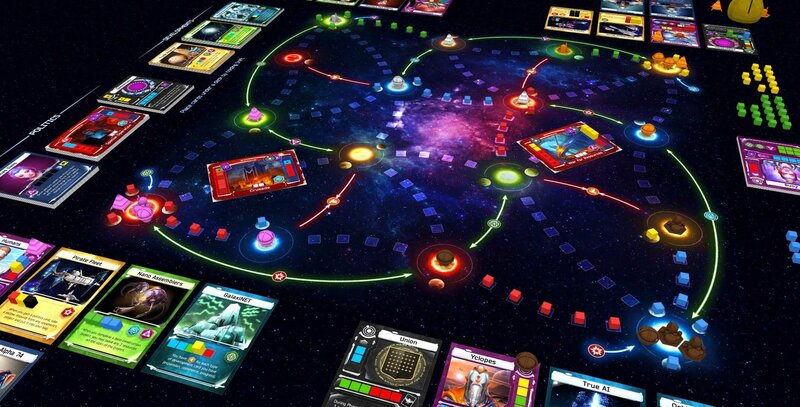 Master of the Galaxy was initially created and developed on Tabletopia, which was also used for extensive digital playtesting. 4000 people played it online during 3400 hours, something that is impossible to achieve with physical prototypes! The game was also often requested by players for our Learn & Play sessions. Added a new path to victory for those who want to develop science not expansion, etc. The game was also presented to many publishers on conventions and fairs. Igrology Studio decided to release the game together with Ares Games, publishers of War of the Ring, Sword and Sorcery, Wings of Glory, and many other popular titles. Join the game’s Facebook group to stay up-to-date with all the hottest news. Play the game today for free on Tabletopia while you wait for the campaign to start on July 18.